JS GLOVES was established in 1983. For over twenty years, we have been specializing in manufacturing knitted safety gloves and sleeves. 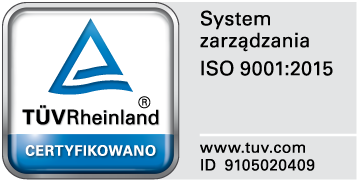 All our products we offer are manufactured in Poland. We have many years of experience in the knitting industry, the monitoring of needs and requirements in the scope of hand protection, the use of state-of-the-art methods and equipment in the production of technical fibres, as well as the application of modern technologies have all contributed to the fast development of the company. Positioned today as one of the largest manufacturers in this sector in Europe. All this is confirmed by our partners – the largest distribution companies operating throughout Poland and also on foreign markets. E. I. DUPONT DE NEMOURS AND COMPANY - manufacturer of the para-aramid Kevlar® yarn. DSM DYNEEMA B.V. - producer of ultra-high molecular weight polyethylene fiber branded as Dyneema®. Modern machine park, highly qualified management staff and over 150 employees with many years of experience constitute a guarantee of good and stable quality of products. It is confirmed by our partners – the largest distribution companies operating throughout Poland, as well as customers on foreign markets. Hand injuries are the most frequent accidents occurring during manufacturing processes. The goal of our intensive work is to minimise this risk by ensuring increasingly better protection. In cooperation with our customers, based on their experience, we constantly improve our products in order to meet all and any expectations of the users. The safety gloves we manufacture comply with all the requirements set forth in new Regulation (EU) 2016/425 (on 21 April 2018 will be repealed Directive 89/686/EEC) on personal protective equipment and are in conformity with the harmonised standards. Our permanent production offer includes over 50 standard types of gloves of the category I, II, and III, 30 out of which have the EC-type examination certificates, what signifies that they comply with special requirements concerning protective properties. In the scope of research, we cooperate with an accredited control and certification unit, the Polish Central Institute for Labour Protection – National Research institute. We lay particular emphasis on short lead times and timeliness of our products’ deliveries to customers. We also cooperate with the final users of the products, advising them on the choice and application of correct gloves ensuring optimum protection and costs reduction. JS GLOVES, aware of its obligations in the scope of the use of chemicals, imposed by the REACH regulation, complies with the requirements introduced by this new EU legal act.